Murray Feiss Bellini Collection Chandelier employs three 60-Watt candelabra socket LED/incandescent/CFL lamps. It has a fixture power rating of 180-Watts and voltage rating of 120-Volts. 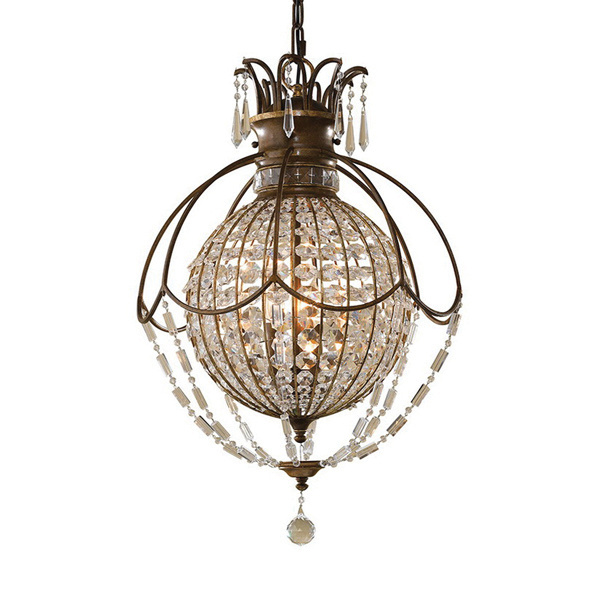 This crystals style chandelier with brown cord, features steel construction with oxidized bronze/British bronze finish. It has a dimension of 18-Inch Dia x 26.75-Inch. This chandelier with 60-Inch chain, supports ceiling mounting and comes with 180-Inch lead wire. Chandelier is cUL and cETL listed.